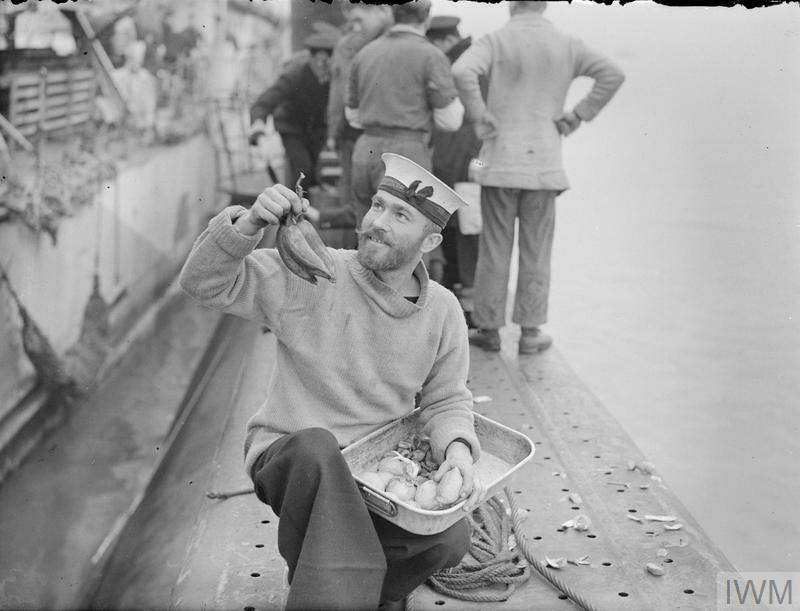 HM SUBMARINE UMBRA HOME FROM THE MEDITERRANEAN - SHE "TORPEDOED" AN ENEMY PLANE. 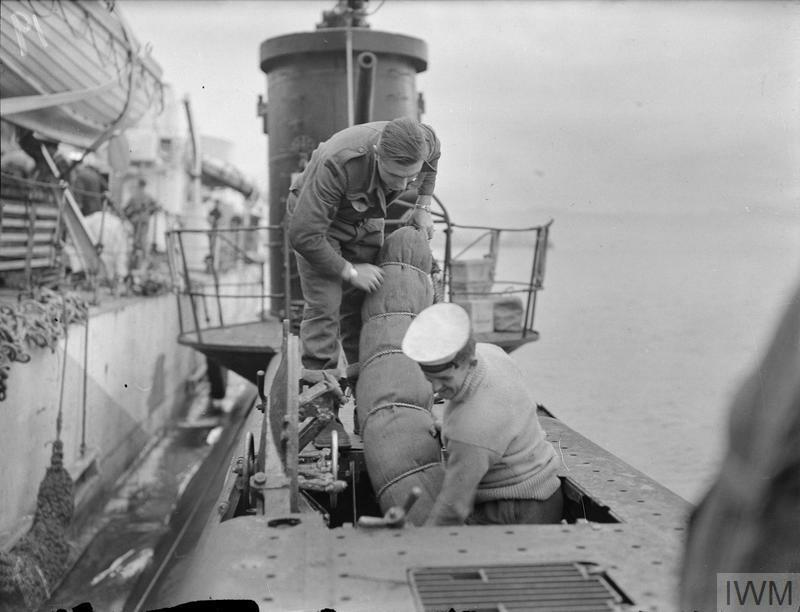 17 AND 18 FEBRUARY 1943, DEVONPORT, HMS UMBRA HAS RETURNED HOME AFTER MORE THAN 12 MONTHS IN SERVICE IN MEDITERRANEAN WATERS. UNDER THE COMMAND OF LIEUT S L C MAYDON, DSO, RN, ONE OF THE NAVY'S MOST SUCCESSFUL SUBMARINE SKIPPERS, THE UMBRA FOUGHT MANY DARING ACTIONS AND WROUGHT MUCH DESTRUCTION AMONG ENEMY SHIPPING. HER STRANGEST ADVENTURE OCCURRED EARLY THIS YEAR WHEN SHE TORPEDOED AN ENEMY AIRCRAFT IN MID-AIR. LIEUT MAYDON SIGHTED AN ENEMY SUPPLY SHIP BEING ESCORTED BY THREE AIRCRAFT. HE FIRED A TORPEDO AND "ALL THAT WAS LEFT OF THE TARGET WAS A MAGNIFICENT COLUMN OF ORANGE AND WHITE SMOKE RISING TO QUITE A THOUSAND FEET". HE NOTICED THAT ONLY TWO OF THE THREE ENEMY AIRCRAFT WERE IN SIGHT. "IT WAS HOPED", REPORTED LIEUT MAYDON, "THAT THE THIRD MAY HAVE GONE TO GREAT HEIGHTS WHEN THE TARGET BLEW UP". 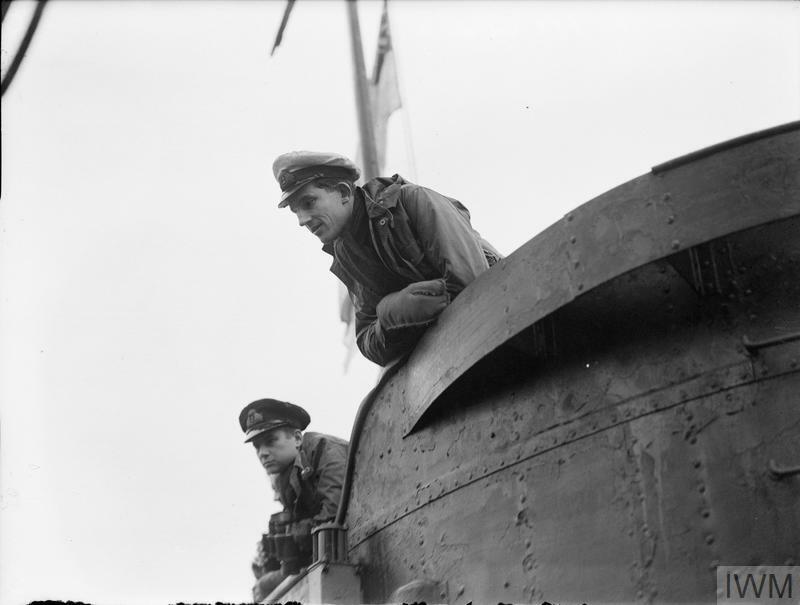 Lieut Maydon and some of his officers taking their first long look at Britain for more than a year.